Putt for Miracles was launched in Boston this Summer to celebrate National Cancer Survivor Day and support Expect Miracles Kids Golf Day at Fenway Park for children and families impacted by cancer. 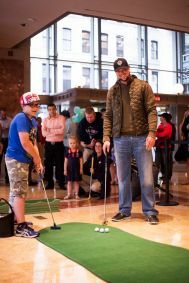 The Putt for Miracles Tee-Off event on May 28th marked the beginning of the 8-day fundraising campaign, drawing a crowd to the lobby of 125 High Street. During each day of the campaign, the Expect Miracles Putting Green traveled to a new office building in Boston’s Financial District. 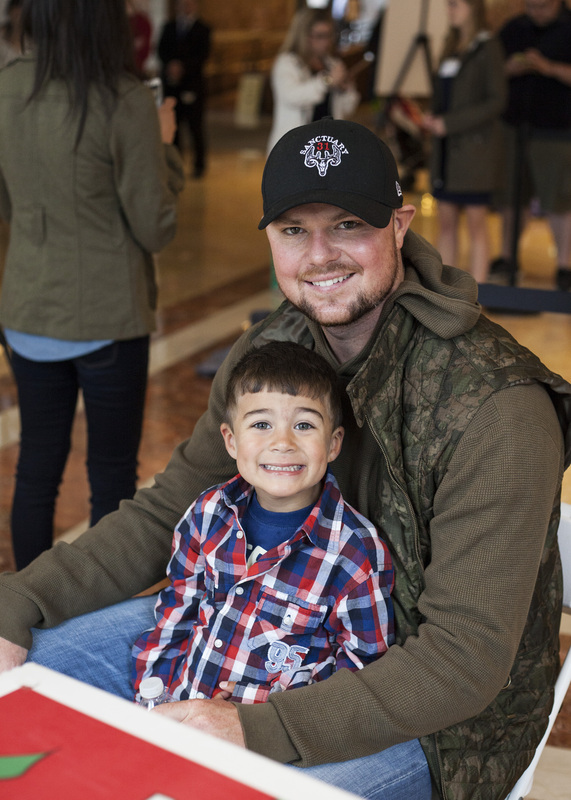 Red Sox Pitcher and Cancer Survivor Jon Lester was the special guest at the Tee-Off event, taking the first putt and setting the bar high—making five consecutive holes-in-one! Kids Golf Day attendees and pediatric cancer patients Ryan, Christina, and Tyler had the chance to have a special and meaningful meet & greet with Lester and see the 2013 World Championship Trophy. All Putt for Miracles participants were entered to win a VIP Red Sox experience, and those who made holes-in-one received a free lunch at Sip Café. blood drive and bone marrow registry hosted by Dana-Farber Cancer Institute. Later that evening, the Tee-Off event concluded with a “Back 9” After Party, hosted by Young Financial Professionals Expect Miracles at Central Wharf Co. The eight-day campaign continued for 2 consecutive weeks stopping at 1 Federal Street, the Boylston Plaza at The Shops at Prudential Center, and International Place at High St. Then the green returned to125 High Street, this time with a different location and new participants (including a dog!) The rest of the week featured locations 100 High Street, 100 Summer Street, and 1 Financial Center. Each day of the event, participants could win a free lunch for sinking a hole-in-one and got a try out Potbelly Sandwich Shop, Crazy Dough Pizza, Au Bon Pain, Cosi, Freshii, Chipotle, and Rebecca’s Café! The event successfully raised funds and awareness for Kids Golf Day at Fenway Park, while allowing participants to gear up for golf season! We would like to thank all of the participants and partners of Putt for Miracles. Your participation allows us to continue to make a difference in the lives of children impacted by cancer. To learn more about Kids Golf Day at Fenway Park, or to make a donation, click here. Want to host the Expect Miracles putting green in your office? Email us for more information.